TITLE: WHAT IS THE PURPOSE OF CHURCH? 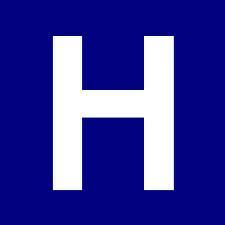 Main Point: Is your Church a hospital, a hotel, or herald of angels? Many Christians go to Church on Sundays. Faithfully they attend, faithfully they give, and faithfully they stayed with the Church. For many Christians, Church on Sundays pretty much is their main source of fellowship with fellow believers. For the young, it means Bible stories, games, and fun activities. For the youths, it often means some level of serious Bible study before the main event: Sports! For the rest of the congregation, it is one full length Sunday service complete with psalms, Bible readings, sermons, and others. Is this what Church is all about? What about our modern era? I like to begin by asking which of these is true of your Church. Is your Church constantly clamouring for care, with people constantly wanting to be fed and need lots of attention? If the majority of your church are complaining about the lack of pastoral care, perhaps your church is running on 'HOSPITAL' mode. Is your Church more about maintaining a level of comfortable social gathering, where activities center around playing sports, social outings, buffets, BBQs, and food? If the majority of your Church functions like that, your church is running on 'HOTEL' mode. Is your Church actively looking out for opportunities to share the gospel, to be the mission post, the salt and light of the neighbourhood? Is the Church actively equipping members and friends to reach out and touch lives? If it is, your church is running on 'HERALDS of angels' mode. This week, I want to look at the purpose of Church. I begin by asking whether the Church is some kind of a hospital for hurting people. Is it a place where people constantly cry out for their needs to be met? Is it where people feel that the leaders are largely ignoring their needs. Or is the Church more like a hotel? Is it a place for people to enjoy connecting with one another like a business conference? Is it a place for people to have fun and fellowship all the time, delegating the other stuff like mission work, prayer, evangelism, and discipleship matters to the ragtag bunch of 'more spiritual people' to do? After all, some Church organizations have hired specific people to do their jobs, so why not simply let them? Let the ordinary member just eat, drink, and be merry. Let the more pious people, the elders, the pastors, the leaders, the trained, and the experienced handle the rest of the Great Commission? A) What Is the Purpose of Church? Church is for all. Unless every member wakes up to the responsibilities and the roles that they are in, they are not living up to the expectation of living stones for God. The WWII martyr for Christ, Dietrich Bonhoeffer says this about the purpose of Church. The passion of Bonhoeffer is clear. Church is not about us. It is about God, and church is a channel in which we glorify God. In his letter to the Ephesians, Paul has this passion too. God intends his wisdom to flow 'through the church' outwards, to rulers, to authorities in the heavenly realms. The imagery is impressive. How can the heavens see the glory of God on earth? Answer: When all of earth manifests God's glory. This means that the church is the primary engine in which the glory and wisdom of God is expressed. Mind you, it is more than evangelism and mission. It is all of our lives as a manifestation of God! This is the purpose of church. During the times of the early Church, the members are persecuted and they come together largely to encourage one another. Times are really bad. The name 'Christian' is very unglamourous, and often used as a derogatory manner. Church for them is fellowshipping in their common suffering, and their persecuted identity in Christ. Through their persecution and suffering, their fervent practice of faith has glorified God and the gospel spreads far and wide. What about the modern church? Let us look at how some Churches have turned into. "How can our church help others when our needs are not met? Our members are hurting. Our people are needy. The pastor hardly visits. The elders seem to have their own busy schedules. Nobody cares for me!" In hospital mode, the church is constantly on a 9-11 emergency call mode. An illness, a major accident, a sudden death, are all examples of emergencies that turn the church into a hospital. Others suffer job losses, marital problems, relationship woes, which also turn the church into counselling centers. While these are legitimate needs, it is a problem if these occupy the main concerns of church leadership. Such an attitude is too inward looking and outward lacking. After a while, caregivers get exhausted. Some becomes so discouraged at the continued level of give-and-give-and-give-some-more that they leave the church eventually. Some Churches spend lots of money on their church building fund. After the mad and passionate plea for money, property, and building resources, after the work has been completed, the vibrancy dies down. Once the structures are built, people settle down, feeding themselves with frequent meals together. They meet to play more often than to pray. They plan social outings more often than designing opportunities to hang out with the neighbourhood. They take away parking spaces on Sundays and give nothing back to the neighbourhood. The Church in hotel mode is constantly consuming things for themselves, budgeting programs for themselves, and planning events for themselves. Such a mentality is narcissistic, inner-looking, and also outward lacking. In hotel mode, Christians become fattened up so much that they eat more and more while the original cause of Christ becomes less and less prominent in their spiritual radar. Let me say an emphatic no to hospital-mode or hotel-mode kinds of church. In my opinion, the former is a counseling center, the latter a social club. None of these are true churches of Jesus Christ. The Church as a biblical model knows that it exists for the benefit of others. Let us read through a few passionate quotes from some Christians from the past. The very popular spiritual writer, Dallas Willard, even calls the ignorance of the mission of God, as the Great Ommission. In hospital mode, these words become: "The church is needful but the carers are few." In hotel mode, these words become: "The food and fun are plentiful and the consumers are many." In heralds of angels mode, people will turn Matthew 9:37 into a response: "Yes Lord. I will go."